Of course like everything , nothing is black and white , nothing has built in meaning , we, as a society have given these definitions to money , in reality it is nothing but paper , and now , mostly just stored data on a hard drive somewhere , it’s completely non existent … yet the entire population of the planet lives or dies , based on whether they have the money to live. Not saying you can’t survive without money , I guess technically you could go live off the land somewhere , hidden from prying eyes and those that want to impose their rules , taxes , and laws … although doesn’t sound very fun , think ” Into The Wild ” and we all know how that ended. Or … perhaps you could join a monastery or commune somewhere, but of course in those cases you are subject to the rules of those groups , and of course they use money to provide for the followers , all you have to do is tow the line of their doctrine , hmm … sounds familiar , lets face it there really is no escaping the consequences of money if you live on planet earth. So the fact is Money Matters, Money determines the type of material world you will experience , it’s at the top of the social constructs , what experiences you will have in physicality during your lifetime are greatly effected by how much money you have. With that in mind one could argue that the economic system is the most important aspect of our lives , when things are bad economically we suffer, when they are good , we prosper , we are happier , which is why the current system we have with its built in bust boom cycles that serve only the upper echelon of society , is in need of a serious makeover , from the persepctive of the collective and the individual . So what is the replacement for money , that would make the system more equitable, more stable , without the constant up and down cyclical aspect , a system that would serve the planet , that would be incorruptible , yes that is the Trillion dollar question . Of course no matter what system we have for exchange , or commerce , if the people using it are corrupt it won’t make any difference , you can’t really blame the system , can you, it’s always about the quality of consciousness that currently exists ,and of course the money system we have is infected by parasites , consciousness has been infected so to speak. The most obvious impact of the parasites in action is Taxes , in all of its forms including inflation , insurance, anything that forces you by law to spend your money on something or lessens the value of your money , this accounts for a large portion of your income being siphoned or vampired off to the tape worm , which greatly impacts how much money you have , and can hold on to in your lifetime. And the parasite effect is growing exponentially ,via so called inflation , and as more people give up on the system , they fall prey to relying on the handouts , the freebies. And the energy , that is being siphoned off of the people who are still working for a living, creates a rather vicious cycle. The monetary system or money will likely under go radical change in the not too distant future , it has to , for those of us who want change , for those of us who want a money system that is more representative of unconditional love and empathy for earth and her inhabitants. In the interim as universe works all this out , there are some practical things we can do as Conscious Co Creators , there are things we can do , to be the change we want to see in our money system. We can learn to do more with less, we can be less wasteful , we can quit supporting things that perpetuate and reward greed and corruption , the first of which is the political system , quit voting for the red or blue team , quit buying into that glorified popularity contest and all the nonsense that goes with it , that system also needs to be replaced , all we need is people who want to work as community leaders , we don’t need rulers, , ” We ” need to become leaders , each of us . Also when it comes to abundance in your life , try not to limit your definition of abundance to only money , this will perhaps give you more peace of mind, and more confidence to move forward in doing what your passionate about in life , in other words , “Know” and allow abundance to flow to you in any and every way that universe can imagine , that higher self can imagine , do not limit your definition of abundance to just money. I think part of the problem with our relationship to money is that we ” Believe” that it is everything , and there is no way , one thing , can be everything , and when we do , it is already set up for failure. Yes … Money Matters , it is important in the game of life , just remember that life is a game , so make sure to have some fun ! 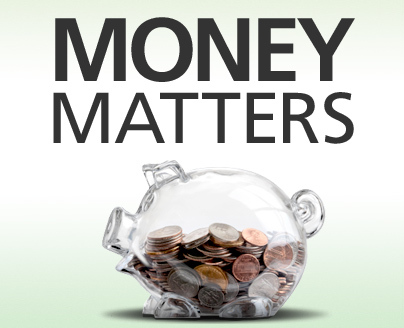 Check out the books below on Money !